The DARKLANDS FAQ Home Site. This site is home of version 2.0 of the DLFAQ, which was released in February, 1998. A new USA Mirror Site has been added to DARKLANDS.NET. SPECIAL NOTICE:The Darklands FAQ 2.0 Home Site on Conk World is no longer available at that location. 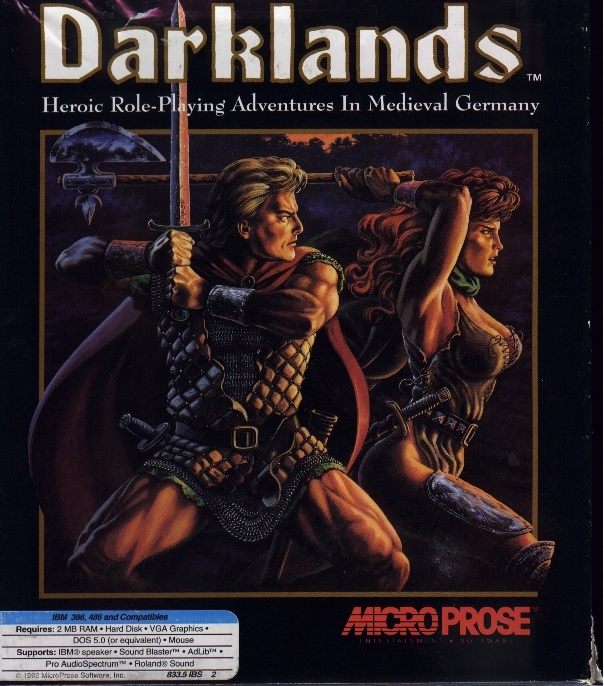 If you have saved links to "http://www.conk.com/world/darklands/", please update them now! The other sites listed on this page are your currently recommended alternatives. Best efforts are made to keep them up to date. We will keep you informed through these sites about updates, including the availablity of additional and alternate resources and mirror sites. Next Version Release: DLFAQ co-author Michel Boucher expects an updated version of the FAQ to be released sometime in Spring, 1999. Check back here from time to time for the latest announcements. Michel is also known as "ALSANDOR". Visit him at his "Barebones" Homepage. The Darklands FAQ German Home-site. ... and his new e-mail address is "luenen@rbg.informatik.tu-darmstadt.de". PLEASE NOTE: As a result of Alex's transfer from the university in Bonn to the one in Darmstadt, the Darklands FAQ Site at the URL:"http://ibm.rhrz.uni-bonn.de/~uzs3f8/darkland.htm", the oldest, most venerable, and best known home of the DLFAQ, up thru version 1.21(plus), is now finally offline after a 4 year run. :( But don't fret!!! :) Alex has hung his shingle and is open for business at the links provided on this page. So update your links! If you visit Alex's Homepage you will find a VERY nifty animated .GIF which he made from a captured Darklands opening cut-scene sequence! It is just plain cool! But it also serves as a link which takes you to Alex's Darklands "Waypoints" were he keeps a handy list of Darklands FAQ mirror sites. Dennis' North American Darklands FAQ Mirror site. The Darklands FAQ "Files Download" Source Page. 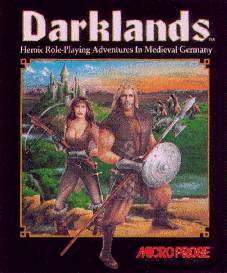 The Darklands Saved Games Repository and Exchange Archive page. 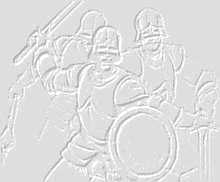 "Sacrifices", Timothy Parker (aka "Timeras" on the Darklands LIST) has submitted a short story for your enjoyment! It's loosely based on characters from the Darklands world. It is recommended that it be viewed using the "Black Chancery", but it isn't required -- incase you cannot use TrueType fonts. Matt's "Schmerker Inn on the Web!" AKA "Darklands on FastFish at the North Pole", this site was founded to suppliment the content of the DLFAQ. At the "Schmerker Inn", you can find: updates on where to find your own copy of DL; links to other sites which feature DL; mirrors of some other's sites (incase links are found to be temporarily broken); an other information about the game. Planned future additions to the site include: a trouble shooting page to focus on the reporting of DL bugs, and posting of known work-arounds or fixes; info to help you config your system to play DL; historical info relating to DL; programming projects related to DL; and more(!) ... Matt's homepage is called FastFish at the North Pole. The DARKLANDS Fans Pages List: Coming soon, to be listed right here! There are many of you out there who have content dedicated to DL. This list will attempt to highlight those efforts. :) Please, check back here often for updates! Delcar's Dungeon has a "Hints, Tips, Strategy for Darklands" page. ... which features tips about fame, Saints, training, and a table of alchemical formulas! Delcar's Dungeon is ruled by Shannon Ward. "Delcar, Delcar's Dungeon" copyright 1997 Delcar's Dungeon. Jerry Kelly (aka "Deth-B0y") has a Darklands web-page which currently features his "Darklands Monetary Converter". Visit Deth_Boy's main home-page. Copyright "Burn Ward Industries '98". The GameSupport(.DK) Darklands Tips&Tricks page. ... and a Darklands 'Tips' page(tidbit) at The Gamers Home Page. © The Gamers Home Page ®, January 1998. 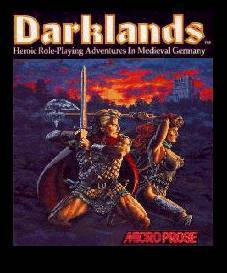 The Games Domain's Darklands page where you will find a link to their "Review of Darklands by MicroProse" by Dimitry A. Levin. Copyright © the Games Domain,1995-1997. OK! OK! >:| So a couple of those last ones aren't "user's" pages, but they are still worth a look-see! the Darklands Stuff page at the Schmerker Inn on the Web! The DARKLANDS SIG Mailing LIST. Michel has just set up a new mailing list for DARKLANDS on "ONEList". Be sure to sign up! 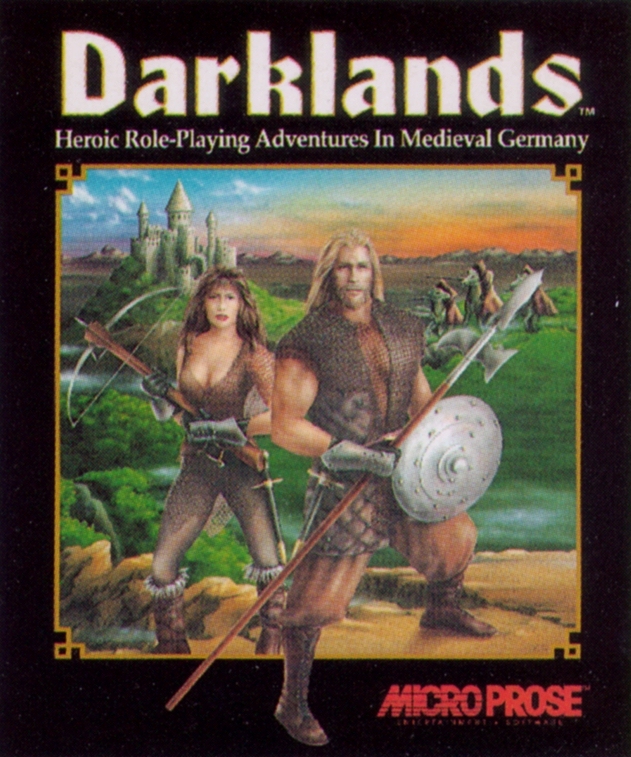 "This list is for discussion of the game Darklands by Microprose, technical aspects, gaming news, etc." It is free and open to all who wish to participate. To join, you will have to register your e-mail address with ONEList, which makes sense -- their Terms of Agreement promise your info will not be sold to spammers. You will be e-mailed a confirmation message to which you reply to complete the process. Just follow the supplied instructions. however that you not use HTML or attachments in your posts to the list. For more info, send e-mail to Michel Boucher. copyright © 1991-1998 Microprose, Inc. - All rights reserved. Microprose is a subsidiary of Hasbro Interactive © 1999. Darklands FAQ founded July, 1995. The DARKLANDS Domain was founded 09 July, 1998... ...and last modified 30 April, 1999.